Art movements that set milestones in history have had such a profound impact that some still inspire people to revisit and reproduce them, even generations later. French artist Lili Reynaud-Dewar’s solo exhibition “Beyond the Land of Minimal Possessions” at Atelier Hermes in Seoul is an exhibition that sheds light on ways in which people today work with one of most profound 20th century art movements, minimalism. Reynaud-Dewar’s latest exhibition in Seoul focuses on Marfa, a small desert town in western Texas, which has been turned into a place celebrating minimalism and its de facto leader, Donald Judd. 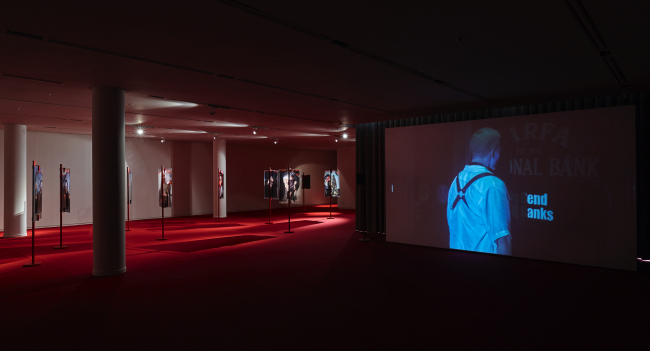 Featured in the exhibition is a 80-minute long “B-horror film“ -- as the artist herself calls it. The film follows a group of seven young students and artists visiting Marfa. The young people look around and enjoy Marfa‘s buildings, museums, bookstores and parties. The group holds a series of seminars in the middle of a Taxas desert, struggling to find meaning in their art practices. But they start to share a nightmare, where the works of Donald Judd and his signature cubes appear in a very grim and bloody manner. The film project was conceived in 2017 during Reynaud-Dewar‘s residency program in San Antonio, Texas. Marfa was an interesting place, the artist said, not because of Judd‘s minimalism but because of the things that came after Judd. The ways in which the barren desert has come to have such mythical status, was something that the artist looked into. In the early 1970s, Judd started to purchase buildings in Marfa to house his extensive permanent installations and the work of artists he admired. Later, the town became a mecca of minimalism. Only some 2,000 people live in this dusty down, but it has high-end galleries, fancy restaurants and even boutiques, not to forget the Chinati Foundation and La Mansana de Chinati, Judd’s residence and studio in Marfa. It is close to nowhere, yet it attracts many visitors -- those that can afford such travel. For some people, the minimalism of Marfa is an exotic tourist attraction, while for others it has become an authoritative legacy. Coming back to Reynaud-Dewar‘s work, the grave influence exercised in the name of minimalism may have been what haunted the young people in the film. Attracted by Judd‘s myth, they are drawn to Marfa, only to be taken captive by the specter of minimalism and the weight of its legacy, one that they cannot escape. Not to moralize about either minimalism or the Marfa case, Reynaud-Dewar’s exhibition also poses questions to contemporary artists in general, who strive to practice their own art between the legacies of the past and the future ahead of them. 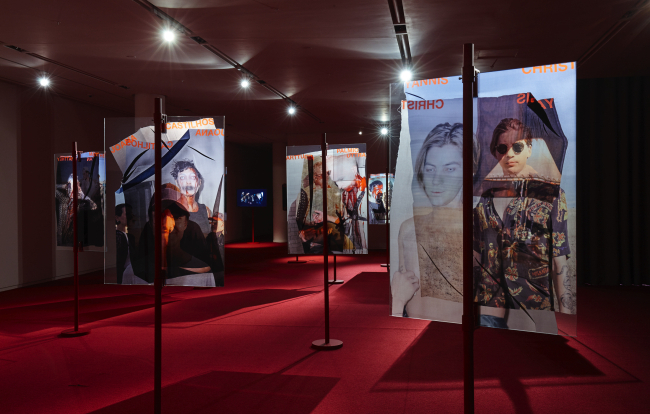 The exhibition runs through July 29th, at Atelier Hermes in Sinsa-dong, Seoul.